🗓️AUGUST 17, 2019 | SAVE THE DATE! Longsho Nite has become an annual tradition of celebrating Tibetan resistance and supporting the Tibetan Freedom Movement. 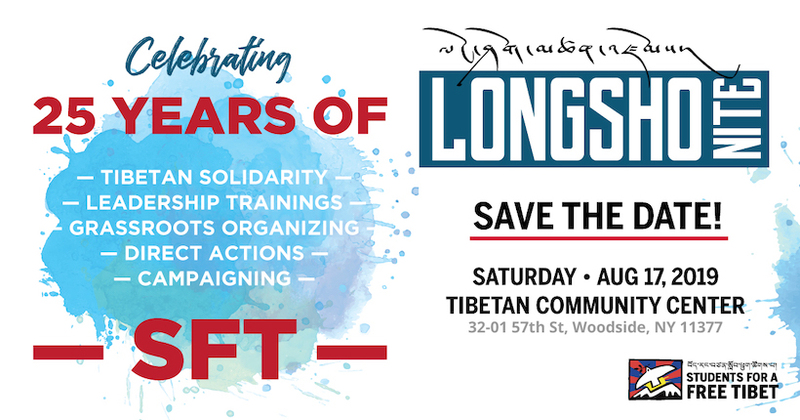 Your participation at Longsho Nite allows SFT to execute hard hitting campaigns, advocate for political prisoners, secure critical victories for Tibet and train the next generation of leaders for Tibet. More information on the event and performers to come as we get closer to the event date. Stay tuned!